To support and extend project based and experiential learning at the school through programming in Green Technologies, Food and Nutrition, Design, Technology and Art. To form mutual beneficial relationship with the Community through collaboration in using and maintaining the green space. All donation will be acknowledged by name or anonymously. 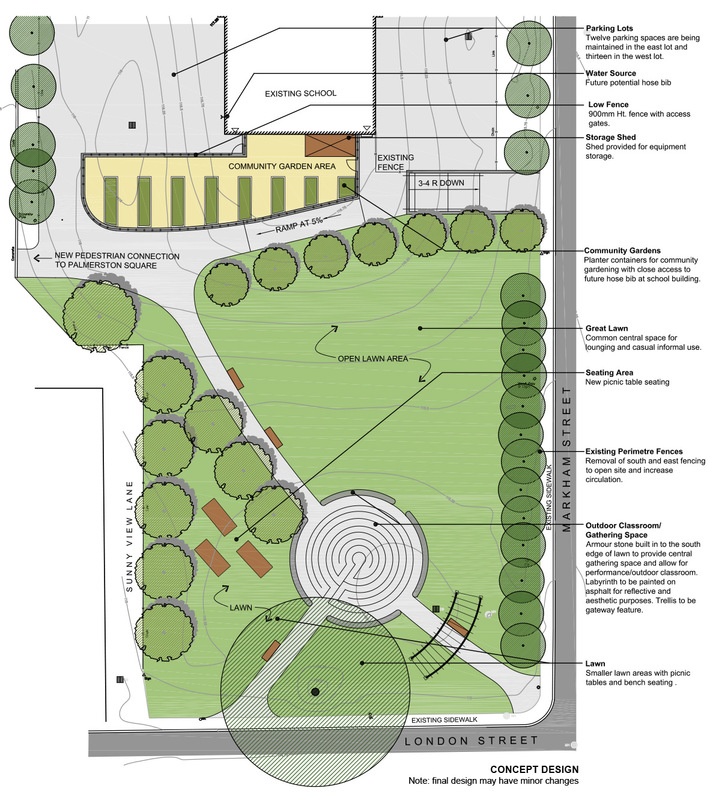 All Patron, Benefactor and Endower level contributions will be acknowledged on a permanent engraved plaque on site, located at the sculptural element at the reflective space (or similar prominent Location). In Memorial donations may be made in the amount of $10,000 and include the installation of one new bench or tree, one engraved memorial plaque (3" x 8") affixed to the bench or tree with the honored individual's name and information, as well as maintenance of the element and plaque for a period of 10 Years. The City of Toronto and Toronto Catholic District School Board (TCDSB) are partnering to improve the Monsignor Fraser College (Annex Campus) asphalt schoolyard.